Who will Win? 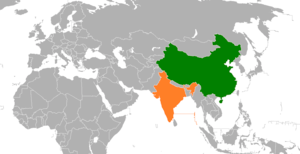 India, or China? Forecasting the future is a tricky business, but it is not an altogether unrewarding one. Get it right, and you can remind people forever. Get it wrong, and most people will forget. Less fraught, however, is the habit of making business and policy decisions based on such prognoses: bet the farm on somebody else’s forecast, and your posterior is on the chopping block, not theirs. It was with that slightly cynical thought in mind that we undertook to review China and India, 2025: A Comparative Assessment. Comparisons between China and India and their prospects are almost as common as all other forms of future gazing. At the very least, we are told, these will be two of the powers who will determine the course of the 21st century. The only question is which country has the economic model and political resilience necessary to take and hold the lead. But the authors of this particular study place little stock in such predictions of global dominance. They recognize that there are too many uncertainties to make a prediction either way: what they are interested in discovering is which of these countries seems most likely to beat the other? Spoiler alert: they are betting on India. Since I’ve let that little tidbit out of the bag, I will not explain why, because that’s the fun of reading this report: understanding not just the rhetoric but the math behind their reasoning that makes India such a good bet over the next 15 years. There are a ton of qualifications along the way, and the authors all but tell the reader “hey, don’t make any bets based on this conclusion, because, you know, anything could happen.” All of which sort of undermines the point of reading through it. But push these disclaimers out of your head and follow along with the reasoning, because the framework they use to analyze the two countries is worth considering at length.